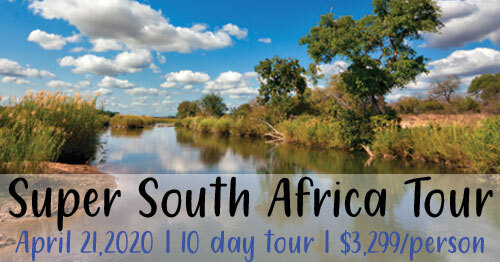 Have You Ever Wanted to Take a Game Drive in South Africa? Well, Here is Your Chance! Be Present to Answer Your Questions! Featuring FREE South African Wine Tasting! Adam Knoerzer, Dean of Drinking, Certified Sommelier, and Pittsburgh's foremost expert on South African wine will be here to present several differnt wines. For more information about South African Wine Classes please visit Palate Partners website!